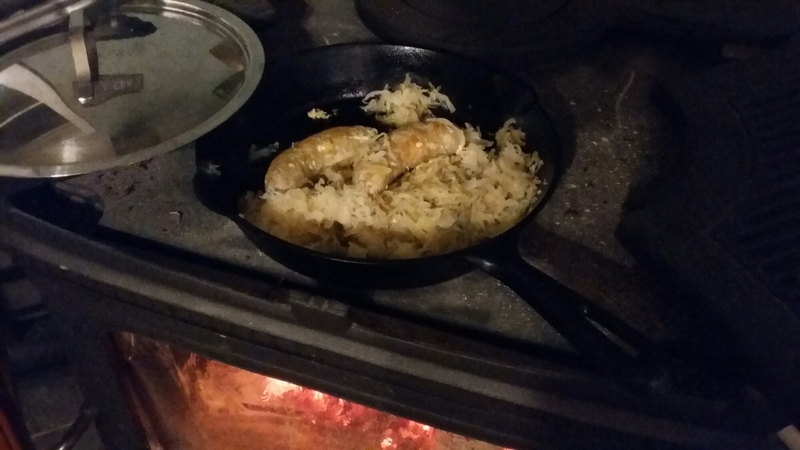 From time to time, when it makes sense, I cook dinner on the woodstove. 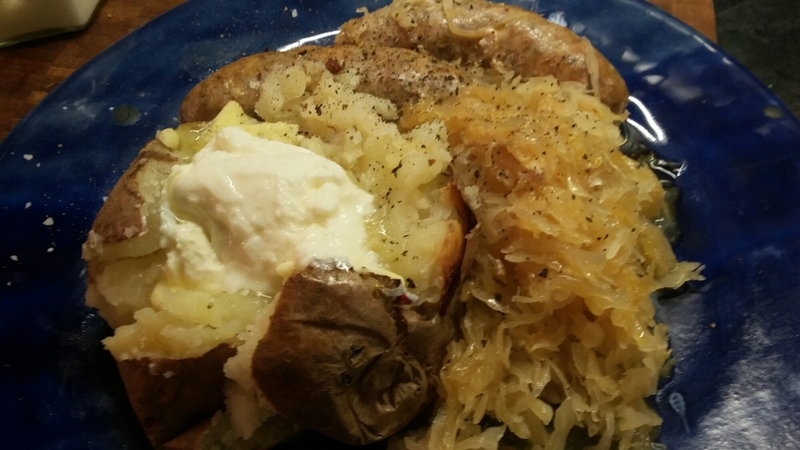 Tonight it was sausages and sauerkraut, both homemade. It’s a nice feeling of security knowing that I can feed myself and heat my house ‘off grid’. My thoughts are with the people in New Brunswick who have been without electricity for over a week now since the ice storm. January was busy and good. My freezer is full with pig, goat, lamb, bear, deer, moose, chicken, and turkey. There’s also some squid and shrimp. 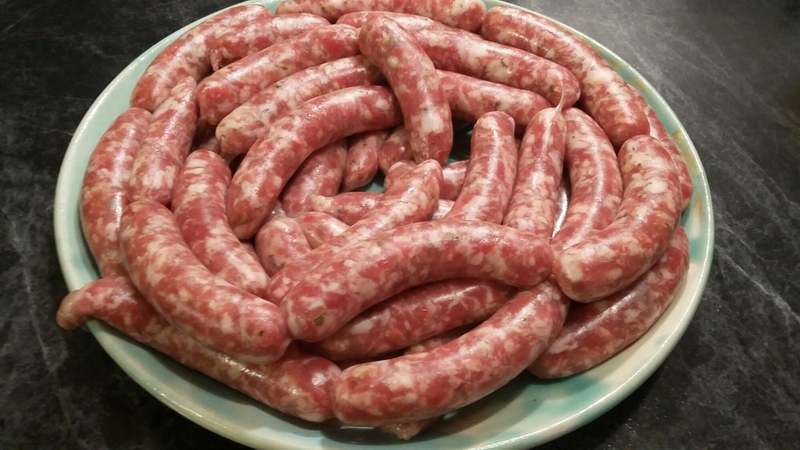 I’ve made sausages for me, some for a friend, and this batch of breakfast sausages to take to a spinning retreat. In all I think I’ve made 44 pounds of sausages recently with more to come. 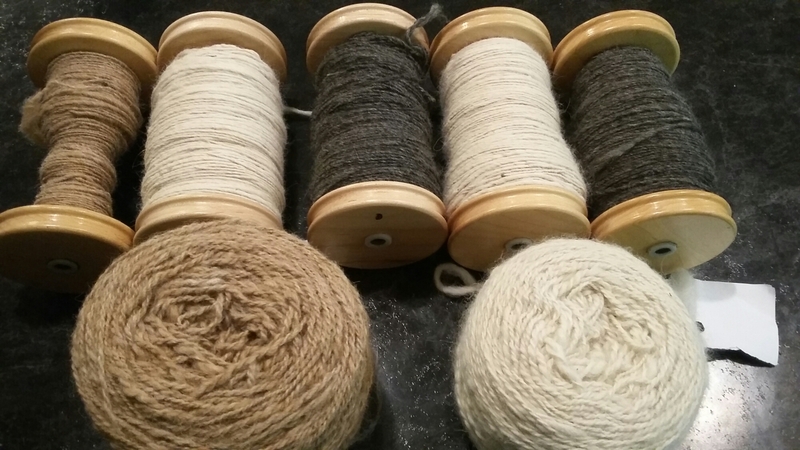 I’ve been spinning a lot lately. 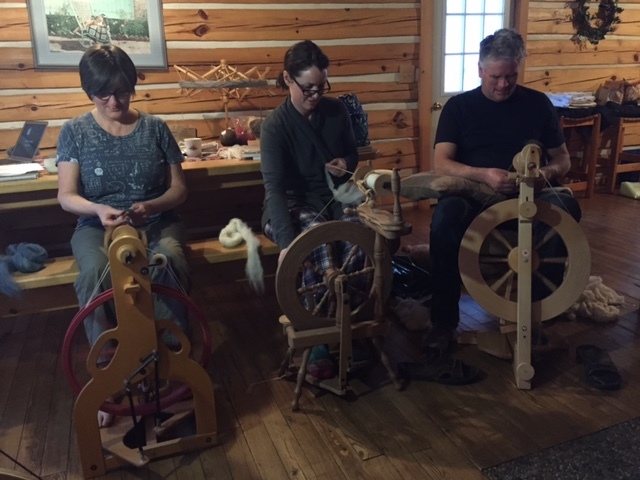 A group of us rented a cabin in the woods in Brudenell and went on a spinning and knitting retreat a few weekends ago. It was awesome. 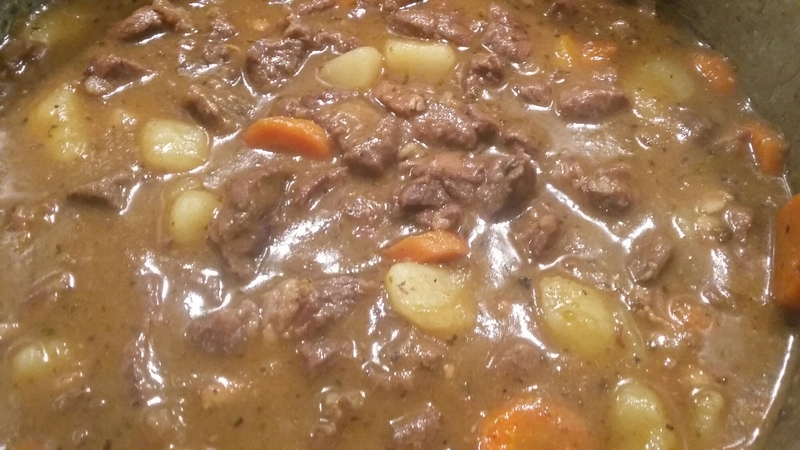 I made a pot of moose stew as my dinner contribution and the sausages for breakfast. The whole weekend was a feast. 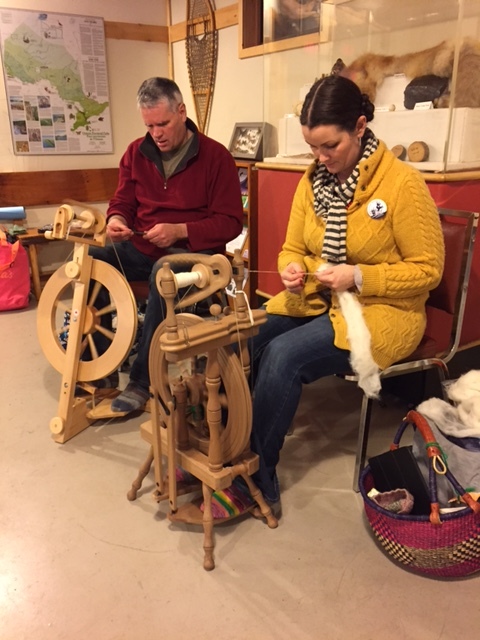 I also had the chance to do some public spinning at Bonnechere Provincial Park last weekend as a part of their winter festival. So much fun and such a conversation starter. So many people have memories of their grandmothers (and grandfathers !!) spinning and knitting. I’m getting close to the finish line of spinning this Alpaca. In all I have 5 natural colours and I’m spinning it very fine. Soon I’ll need to decide what to knit with it. Maybe a striped sweater. And lots more. The days are noticeably longer and the sun shone in a blue sky today. Except when it was snowing. Happy February!